These ultra-smooth ballpoint pens feature Bic's exclusive ink system, offering 50% smoother writing and bolder ink than traditional ballpoint pens. 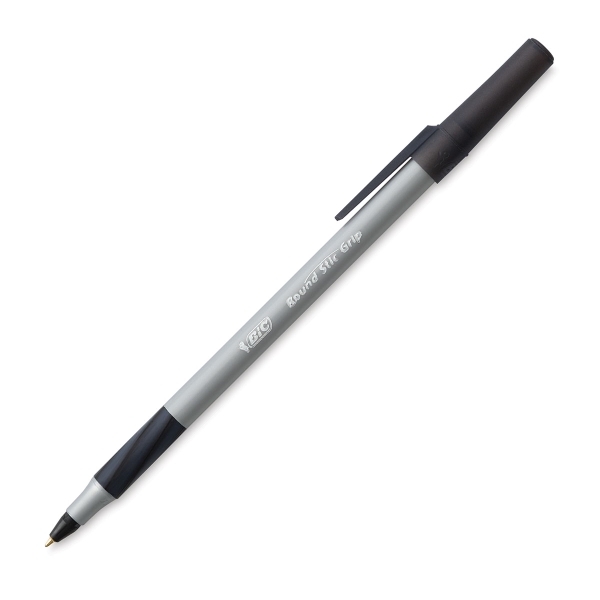 Bic Round Stic Grip Pens have a contoured rubber grip and a metallic barrel. Every pen offers more than 4,300 feet of writing. ® BIC is a registered trademark.™ Round Stic Grip is a trademark.